Term 2 dates: 2 May – 20 June Bookings open 2pm 20 March 2019 Please return to this page after the booking date opens and refresh your browser and the course options will appear to the left for booking. Times: Thursdays 10.30am-12.30pm, 2-4pm, 6.15-8.15pm. Choose one! 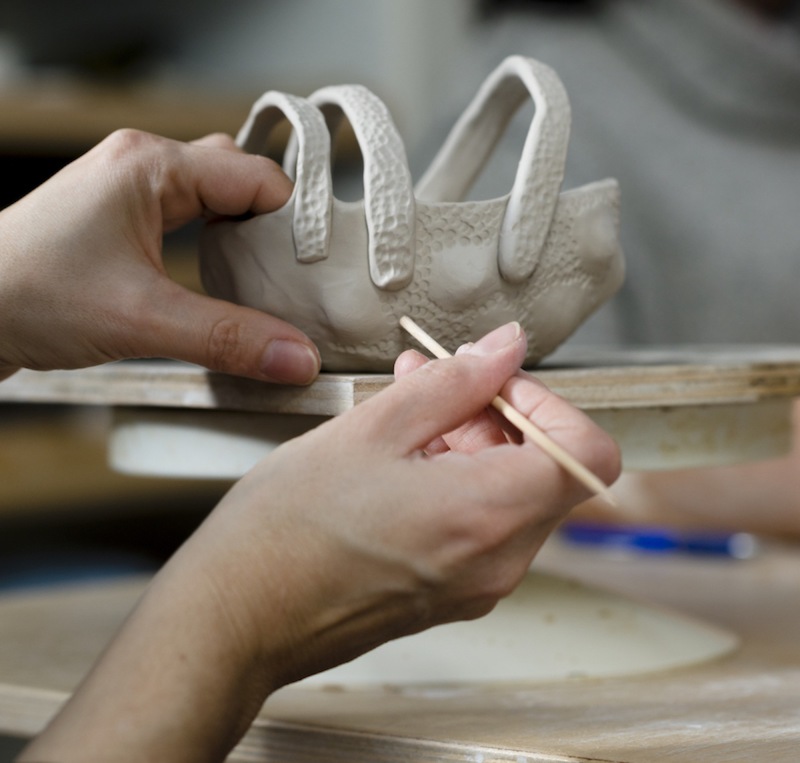 Content: In this 8-week course students will investigate different approaches to working with clay using hand-built and sculptural techniques. Beginners start with playful, experimental projects and more experienced students are encouraged to develop a strong personal direction. When: Enrol by the term, 3 x options are held on Thursdays: 10am – 12pm, 1-3pm and 6.30-8.30pm. Size limit: due to the limitations of our storage space we limit the size of objects to 30cms cubed. Optional extra: An option to continue working for an extra hour is available to the morning and afternoon classes. No booking required. $10 fee covers materials and studio costs. Booking info: Enrolments open half way through a term for the forthcoming term. Please return to this page to check the date and refresh your browser after the booking date to book online. Click on the option you want and you will be re-directed to another booking page AND you must choose your course time AGAIN on the second page from the drop down menu on the top right! Please choose carefully because we do not give refunds if you make a mistake. We do not keep waiting lists, sorry, but we do keep cancellation lists so if you miss out please email us and we will put you on a list. Fees: $508 Earlybird and Conc, $535 Normal. Cost is inclusive of all materials and use of all studio facilities Firing is $10/kg extra. "SATs" stand for our Studio Access Times and these are available to currently enrolled students to use our studio for some quiet practise time. We are not a drop-in studio for anyone to access our space, sorry. SATs are only available if you are currently enrolled in either Wheel or Form & Surface courses. We do not offer them to Porcelain students or Weekend Intensive students, sorry. Please note: SATs are an "extra" for our students and can change anytime at our discretion. We reserve the right to cancel at short notice or change what we offer at short notice. Other events can take priority. We will always endeavour to publish any sudden changes on our Facebook page and studio notice boards so please check there. In Term 1 2019 SAT times will be offered as one-hour extension times to the morning classes and 3-hours Tuesday 12-3pm and Saturday 10am-1pm (bookings required) You will be told about them in more detail in your first lesson. Please note: Deposits are a commitment to attend. They are non-refundable and the balance must be paid in full three weeks before the start date. When paying by deposit online the balance will be automatically deducted from the same credit card three weeks before the course start date through our booking agency We Teach Me or you will be given a link to click and pay. Please note: due to limited places and high demand, if the balance is not received before the required date we reserve the right to offer your place to someone on our cancellation list. Please choose your classes carefully. Due to our limited class sizes once you've booked and paid either the deposit or the full fee, we will only refund what you have paid if the class is cancelled. If you are unable to attend you may transfer your booking to a friend for no charge or, provided we can fill your place, we can hold your payment in credit for up to 12 months for a future course. Please note: we do not take any responsibility for pre-existing health issues that may be exacerbated by being in our studio. Please seek a doctor's opinion or ask us if you need moe information.